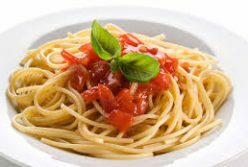 Pasta is the heart of most Italian dishes and preparing your own homemade pasta has its own excitement. 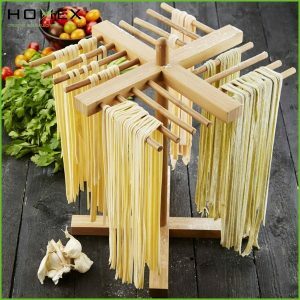 One might take some time to perfect this art but with right ingredients and a very useful pasta drying rack, nothing is impossible. To save on time, many people use the ready to cook pasta sold in the stores. But it can never compete with the authenticity, taste and freshness of homemade pasta. 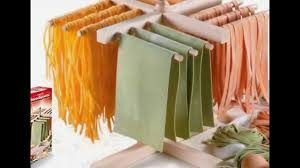 The pasta drying rack is basically designed like a tree with branches spreading as you higher. It has a strong rod or thick stick rooted onto a heavy base. Beams shoot out in different directions on which the pasta is to be hung for drying. The design, styling and material may vary but the main feature is its heaviness. The material used could be plastic, metal or wood. Depending on the size and price tag the number of rods differs. They are placed symmetrically to ensure equal distribution of weight. A normal sized rack can bear up to 4-6 pounds of weight. One should pay attention while placing the pasta for drying so that they don’t overlap or become too dry. Now a days people are become more and more health conscious. As the cost of dinning outside is souring high, its really a good idea to prepare some easy dishes at home. Getting family members involved in this will surely add to the fun. Children would love to assist you in turning the pasta machine handle or hold the dough or place the pasta on rack. This can be on top of your fun to do list for the weekend. Creativity has influences pasta and as a result there are various size and shapes in them. These all cannot be dried on the same rack. But there are racks for drying different shaped pastas at home. The design of these racks now a days, are done keeping in mind the interior styles in vogue. One thing to be kept in mind while putting pasta for drying is that there should be proper airing. The distance between the beams and has to be checked. Some racks have fixed rods, whereas some have movable. The latter is preferred in metal if you are making a variety of pasta. The rack and its parts have to be strong and long lasting if you are moving them continuously. Kitchenaid, Norpro, Roma, Atlas Marcato and Beechwood are some of the well known brands manufacturing pasta drying racks. The price range is from ten dollars up to hundred dollars. Checking out options on online shopping sites like Amazon and eBay is also a good idea. While you are short listing the rack design keep in mind the variety and amount of pasta you will be making. To make sure that you are buying a durable product, check for feedback or comments from buyers. As the price tag will exclude shipping charges, calculate all together to see if it fits into your budget.